On the morning of Wednesday 23 August, a group of 24 people gathered at the DIGS innovation centre to discuss green energy and urban development. 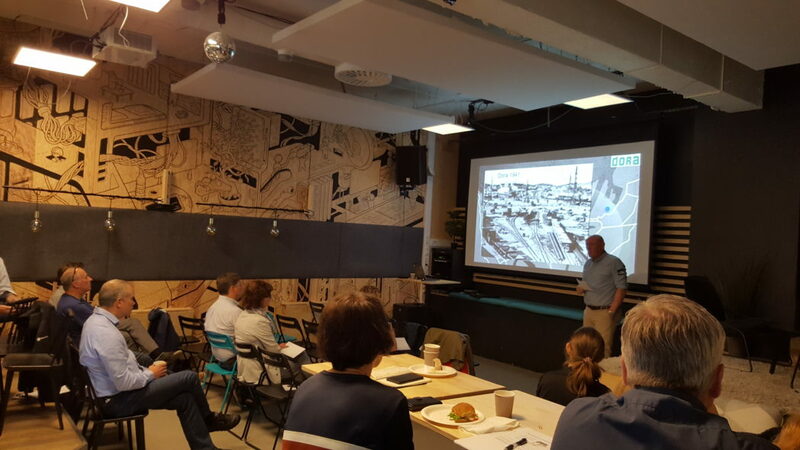 The themes for the seminar were low temperature district heating systems and green urban area development, using the districts of Nyhavna and Østbyen, where a lot of development is planned in the coming years, as the meeting’s point of departure. The seminar was arranged under the auspices of the DSTG project, which is researching the development of a modelling tool for local heating distribution grids. The list of participants included individuals and organisations from many different sectors, including energy suppliers, the public authorities, builders and developers located in Nyhavna, Enova (the green energy funding organisation), the Coop (in its role as a potential local supplier of waste heat), as well as the R&D community from SINTEF and NTNU. The list alone was already a good indication that this was going to be an exciting and successful meeting. This is just what we need if we are to succeed with green urban area development – interplay between individuals and organisations from the different sectors linked to urban area development. Creating an atmosphere of collaboration was also the main aim of the seminar. I opened the seminar with a presentation on the significance of district heating as a component of the green energy transition. About half of the world’s energy needs are linked to heating and cooling, and district heating systems make it possible to meet these needs by utilising sources such as waste heat and other waste that would otherwise be discarded. However, current district heating systems operate with high distribution temperatures. This makes it difficult to utilise waste heat from low temperature sources such as supermarkets and computer rooms, which are commonly located in urban areas. Moreover, modern buildings do not have the high temperature heating requirements, and heat losses are high when the distribution temperature is high. Current district heating systems operate with high distribution temperatures. This makes it difficult to utilise waste heat from low temperature sources such as supermarkets and computer rooms. Lower flow temperatures can nevertheless create problems in older buildings, and the issue was discussed by Maria Justo Alonso, who is researching this topic at the ZEN (Zero Emission Neighbourhoods) CEER. For this reason, low temperature district heating systems are best suited to modern, new-build areas. This was also pointed out by Morten Fossum from Statkraft Varme, who described the role of district heating in the green energy transition now taking place in Trondheim. Statkraft Varme is ready to construct a small-scale, low temperature, distribution grid that utilises locally-derived waste heat. Potential sources of such heat include the major supermarkets such as Coop City Lade, which has a waste heat capacity of 270 kW. The seminar was held at the DIGS innovation centre on 23 August. Geir Halmøy from Dora Eiendom is giving his presentation. Trondheim municipality has high environmental ambitions. According to its climate change mitigation plan, emissions in the city shall be reduced by as much as 80% compared with 1991 levels. One of the measures being used to achieve this target is the establishment of a collaboration forum for organisations linked to urban development – much in the spirit of today’s seminar. The municipality also intends to carry out an energy analysis in order to identify bottlenecks, surpluses and deficits linked to energy supply systems in the various city suburbs. The municipality, TrønderEnergi, Statkraft Varme and SINTEF Energy Research are keen to carry out such an analysis as a joint project. Trondheim Havn and Dora Eiendom are key players in the Nyhavna area development projects. Even though the start of intensive construction in Nyhavna is still some years ahead, new office buildings have already been built, and the area is regarded as very attractive for those looking for office premises. Dora Eiendom is putting energy interplay into practice on its own premises. 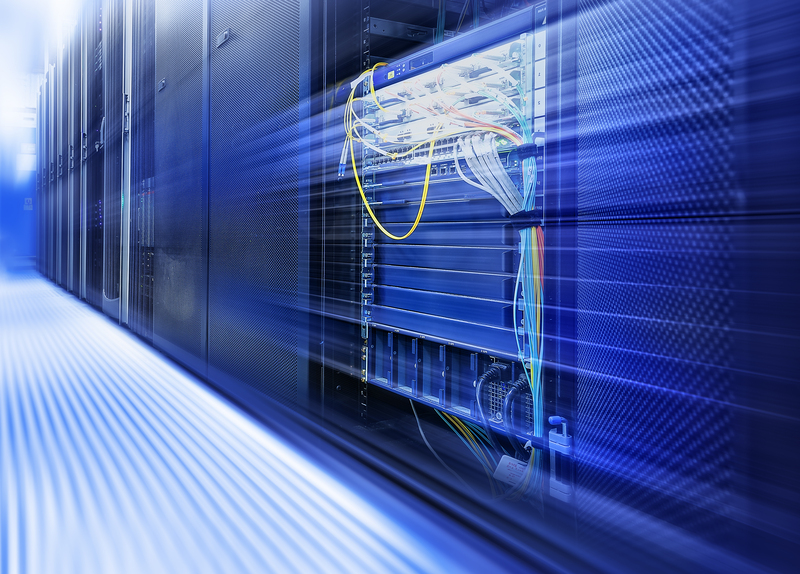 Waste heat supplied by large computer rooms is being utilised to supply heating. 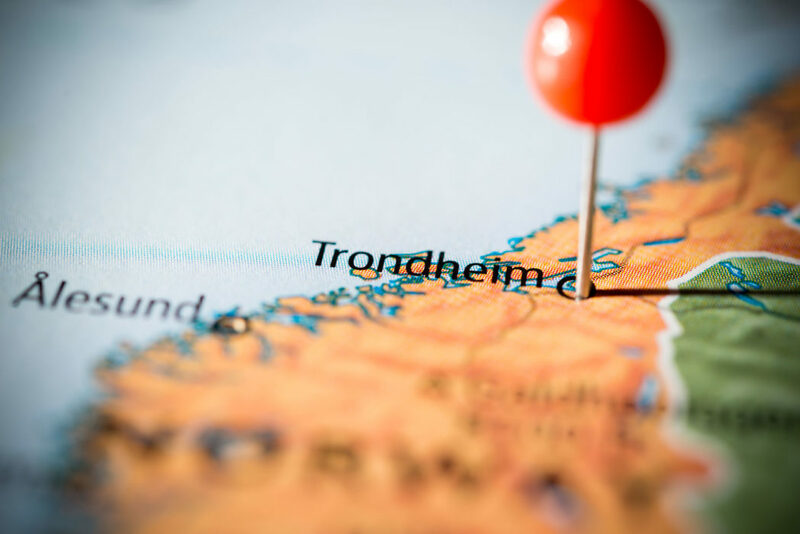 Both Trondheim Havn and Dora Eiendom were keen to take part in the research and development projects linked to energy interplay and green urban area development. Electrification is a key concept as part of tomorrow’s energy scenario. For example, the entire transport sector is going to be electrified. In order to meet increasing demands for electricity, it is important that, where possible, heating needs are met by low-value energy sources and not by electricity directly. John Kristian Evjen from TrønderEnergi highlighted the role of district heating in taking the pressure off the electricity distribution grid, and emphasised both the significance of interplay between the electricity and district heating distribution grids and collaboration among the energy companies. Finally, Magni Fossbakken described the opportunities offered by Enova in terms of funding the concept evaluation process and the implementation of local green energy systems. She emphasised that Enova would be very pleased to take part in such projects linked to the Nyhavna development. One word was heard again and again in almost every presentation – interplay. Green urban area development will not succeed if the people and organisations linked to such projects do not work together. After the seminar, several small groups gathered to discuss collaboration and possible joint projects. So perhaps we can say that the meeting achieved its purpose?